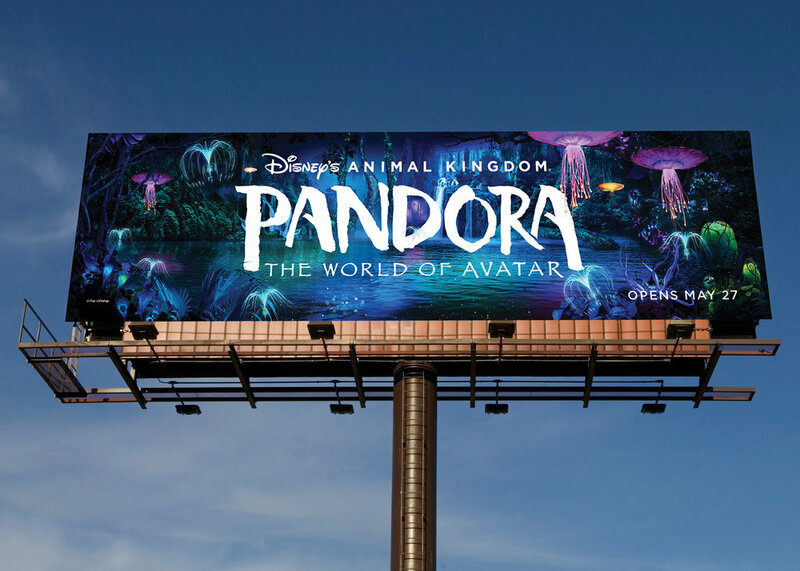 The biggest attraction to come to Walt Disney World in years, Pandora is a new world based on James Cameron's Avatar. With mountains that seem to defy gravity and plant life that actually glows, it's a world that is beyond belief.While the park was still under construction, we created a launch campaign that harkened back to the attraction's movie roots and helped concept a teaser site that gave potential travelers a portal to this new world. 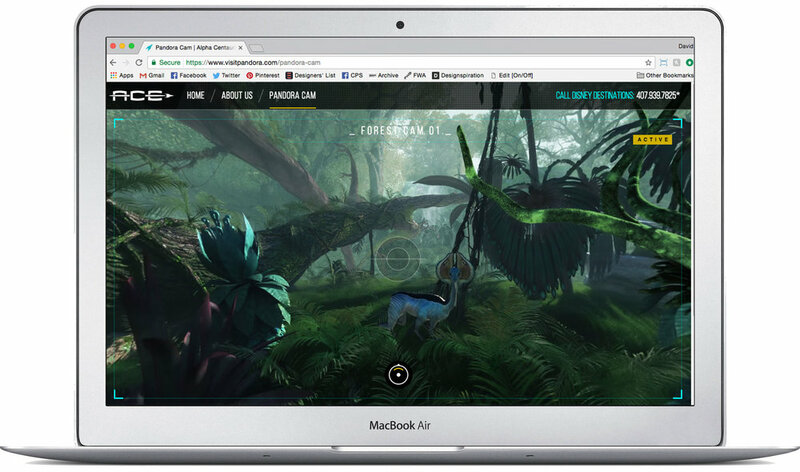 Teasers and TV drove people to visitpandora.com, the microsite of ACE travel, an intergalactic travel agency leading the exploration of Pandora. Created by our partners at Yellow Shoes, the site featured live webcams of the Pandora landscape, the ability to chat with friendly ACE personnel, and book trips.